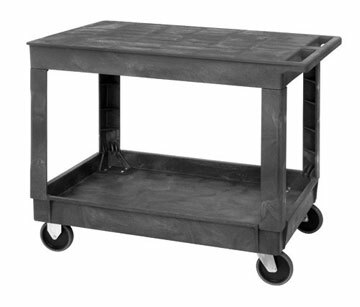 5" x 1-1/4" heavy duty casters, 2 swivel and 2 rigid. 550 lb. capacity. 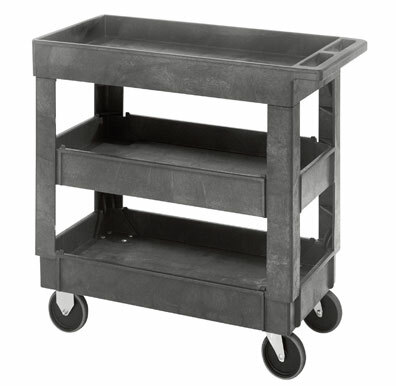 Plastic service carts are resistant to most chemicals. Quantum Polymer Carts can be cleaned easily. 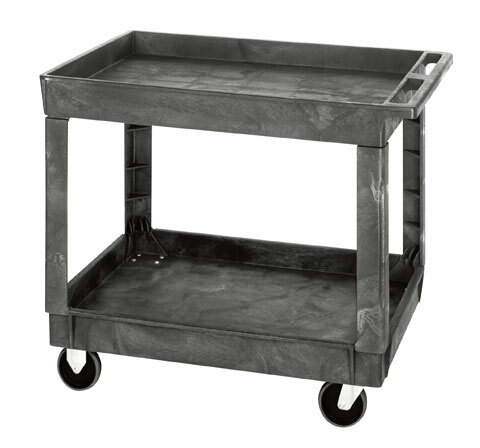 See our new FLAT TOP SHELF Stock Carts.